The virus came so fast no one had time to prepare. Before the day was over, entire towns were decimated, and large cities became monumental tombs. 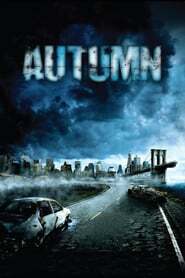 Left with nothing but fading hope and the will to live, reclusive software consultant Michael (Dexter Fletcher) and temperamental mechanic Carl (Dickon Tolson) lead a small group of survivors into the country in hopes of riding out the coming winter. But now the decaying victims of the plague are reanimating, growing more smart and vicious with each passing day. Now, the only hope for the survival of the human race is Phillip (Carradine), a man who refused to leave the city, and has somehow avoided becoming food for the flesh-eating masses.